CIC needs to be started to help keep your child’s urinary system healthy. CIC has been used for many problems that cause the bladder to not empty all the way, such as: spinal cord injury, closed bladder exstrophy, tumors, and meningomyelocele. CIC helps empty the bladder to lower the risk of urinary tract infections, control wetting, and prevent urinary tract damage. Urine is made by the kidneys. 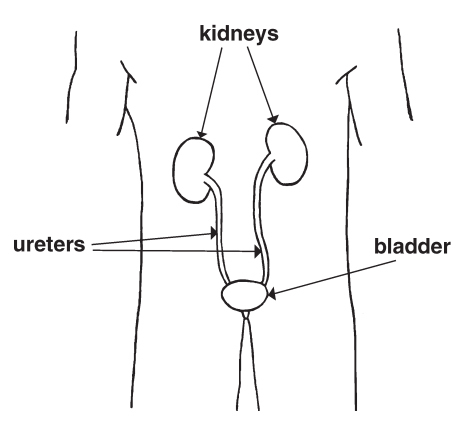 Urine flows from the kidneys to the bladder through tubes called ureters. Most people empty their bladder by going to the bathroom 4 or 5 times a day. When your child is not able to empty his bladder all the way, it overfills. Pressure backs up the ureter to the kidneys, and the kidneys cannot filter. Urine that backs up into the ureters is called reflux. Reflux may let bladder infections get into the kidneys. Both pressure and infection can cause kidney damage. Urine left in the bladder makes a warm, dark, moist environment for germs to grow. CIC empties the bladder on a regular basis so germs are less likely to cause a urinary tract infection (UTI). CIC will also help keep your child dry. Wet pants cause odor, red and sore skin, and infection. Your child needs to drink a lot of water to flush out his kidneys and bladder. If your child does not drink enough water, infections can happen. The main goal of CIC is to prevent injury and infection to your child’s kidneys and bladder.